When Michael and Noel Veith decided to start a National Premier Soccer League (NPSL) club in the Houston area last year, their intention was to provide a place for local kids who had moved onto college and graduating high school seniors to improve their ability to excel in soccer college careers or at the professional level, if that was their dream. “Every kid in our first year is someone that is from a local high school or a local college.” said Michael Veith. “For the college player it is very simple. The kids that come need to be trained, they need to get games in because the summer is a long time for inactivity.” he added. The ultimate goal is for the players to be ready for the season when they return to school in August. The club also plans to provide a place for graduating high school seniors to prepare for college. “The high school game to the college game is another step up so this will give them experience,” said Michael Veith. Though their new club Katy 1895 FC has not played a competitive match yet, the club staff are pleased with the progress towards these goals so far and are now expanding their efforts to include kids as young as 4 years old in their club’s ambitious plans for the the future. Katy 1895 FC will compete in the Lonestar Conference/South Region of the NPSL and play a 10 game 2018 regular season schedule that extends from May 12 to July 3. Eight Texas teams and Shreveport Rafters FC will form the Conference and these clubs will be divided up into 3 pods for playoff purposes. Katy will be part of a group that also includes Shreveport and Houston Dutch Lions from Conroe. The top two teams from each pod will advance to the 2018 playoffs. The NPSL, generally recognized as one of the top leagues in the unofficial 4th-tier of the U.S. Soccer pyramid, now has over 100 clubs nationally. The league is rapidly expanding in Texas and up to five new clubs are planning to join the league for the 2019 season. The Veiths have deep roots in the local soccer community, having owned a soccer store there for years. Katy is a rapidly expanding suburb approximately 30 miles west of Downtown Houston. Their two sons grew up playing soccer in the area and both were able to extend their careers into college. Their youngest, Harrison, currently plays at Houston Baptist University and will be part of the first 1895 FC roster. When they decided to join the NPSL, the Veiths quickly reached out to two local high school coaches who they have known for years, Jimmy Krueger and Eddie Bloise, to direct soccer operations for the new club. Krueger will serve as the inaugural Head Coach and Bloise as Technical Director and Goalkeeper coach. Krueger, who starred in high school in Katy and in college at Midwestern State, also played in Canada and now serves as Vice President of the Texas Association of Soccer Coaches (TASCO). Bloise, who grew up in Houston, played professionally in Mexico and Argentina in the 1990’s before returning home when he retired in 1995 to begin his coaching career. Krueger and Bloise are dividing up responsibilities for the first year with Bloise focusing on back-of-the-house operations in addition to coaching goalkeepers. Krueger will handle overall club training and the game-day coaching duties. 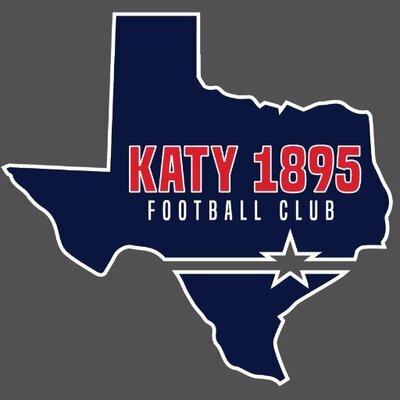 The club has already created a 26-man roster for the upcoming season, mainly with kids from Texas, including a significant number who grew up within 30 minutes of Katy. Many of these players trained with Katy 1895 FC coaches at youth levels. Michael Veith believes they will have one of the youngest clubs in the NPSL, but this fits their mission perfectly. When the NPSL eventually splits into two levels and begins to play a year-round schedule, the club intends to remain at the second level and play in the spring/summer seasons only. Though the club has already identified most of its roster, one more tryout session will be held in early May. The plan is to finalize the roster one week before the season begins, though many players have already been announced on the club website. The club will begin training in early May and intends to play an exhibition match the weekend before the May 12 regular season opener, where they will host Rafters FC. A key first year goal for the Katy 1895 FC is to have the maximum number of their players compete to be part of the South region team which will participate in the 2019 version of the NPSL Showcase for professional scouts, held for the first time two months ago in Florida. Katy 1895 FC will play its matches at a local high school, St. John XXIII, which has an intimate 500 seat stadium, a natural grass field and full locker facilities. The club is working on building a family-friendly game-day atmosphere with food trucks, promotions-and, somewhat unique at this level, an opportunity for fans to sit on the sidelines. Plans are also in place to live-stream home matches. The club has also been gifted a 6-acre parcel from a local church, which they are already hard at work turning into a soccer training facility for the NPSL team and an Academy program that will initially focus on both boys and girls from ages 4-10. The Academy will be different than traditional youth soccer clubs as there will be no tryouts and any kids that want to play will be welcome. The club will launch its first summer programs in a few months and intends to continue programs and maintain connections with the Academy players throughout the year. High level amateur soccer in the United States has had its fair share of turnover through the years. One of the most exciting developments in 2018 is that all Texas NPSL and Premier Development League (PDL) teams returned for this season, demonstrating a degree of stability that all soccer fans in the United States hope continues. Michael and Noel Veith are doing their part and already thinking about future years. That player-first focus, combined with the new training facility and the club’s long-term strategic thinking, provides hope that Katy 1895 FC will be part of the Houston soccer landscape for many years to come. Michael and Noel Rule!!! Congrats on the team, now it’s time to win!!! Luv y’all!